A one-day drawing workshop to accompany the Jerwood Drawing Prize 2016 Exhibition, that exposes new modes of agency, materials and extends technical skills. Over the one-day workshop, artist tutor Alex Roberts will lead a workshop that exposes new modes of agency, materials, extends technical skills, and expands current methodologies and experience. The workshop will start by viewing the Jerwood Drawing Prize 2016 exhibition, with a chance to discuss the breadth of themes, approaches and widening limits of what contemporary drawing is, and can be. Collectively visiting the JDP 2016 collection and brainstorming new possibilities, guided by the finalists work on view ought to trigger a personal line of enquiry, pose a question to research or inspire new considerations of source materials, outlooks and techniques, spurring an investigation that sets up the playful and explorative workshop day. A practical day of experimentation will then get underway. 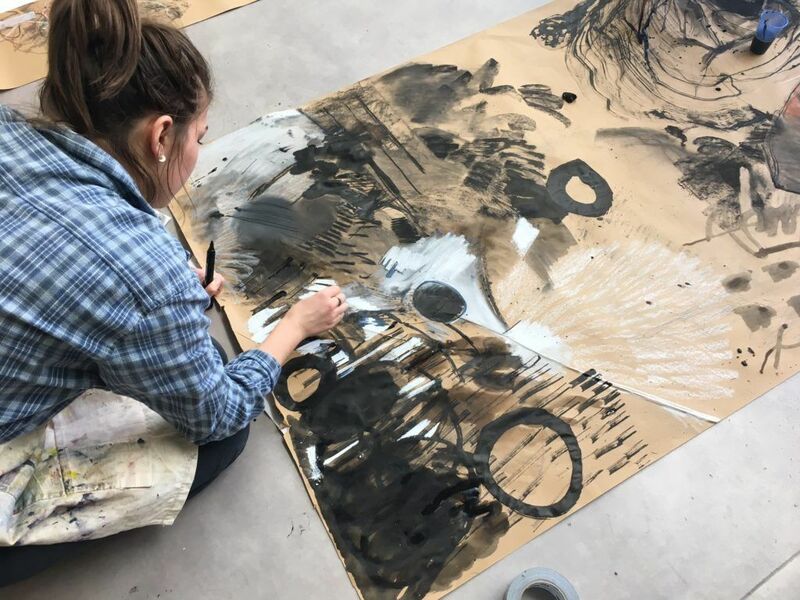 An opportunity to trial different materials and methods, with the culmination of the day accessing a plethora of new viewpoints to take forward for any creative practice. Throughout the day group guidance, and 1-2-1 support will be available, enabling all attendees the chance to re-address and augment their individual drawing processes. Tutor: Alex Roberts is a British artist that lives and works between Berlin and the UK. She is an artist who works with paint and translucence; addressing paintings’ surface and spatial depth. Testing the sliding scale of figuration and abstraction, her focus is how we perceive identity and change – encounters. Roberts completed her MAFA at Chelsea College of Arts, UAL, 2015. In 2016, Roberts joined The Transart Institute as an Artist Advisor, and is helping to establish a drawing programme about the figure, besides linking platforms of exchange with Drawing Projects UK.